My fourth design. This was inspired by the dragonfly print fabric, a detail of which can be seen here. 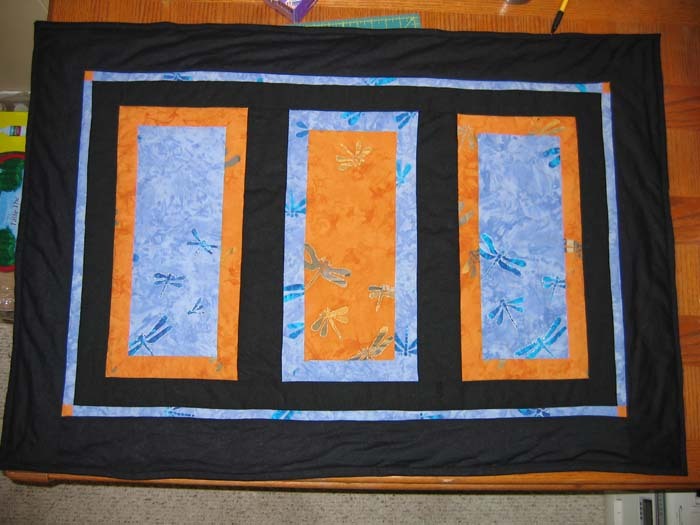 I named it "Dragon Flight", and it is also my very first hand-quilted (though machine assembled) piece. This was given to my father for christmas 2006.